Ground ivy is a species of plant with green leaves and flowers. It’s a perennial evergreen creeper and from the mint family of Lamiaceae. It has some more common names such as creeping charlie, tunhoof, catsfood, field balm, run-away robin, and alehoof. Its scientific name is Glechoma hederacea. Glechon is Greek for mint, while hederacea means “ivy-like”. Even though the word “ivy” is in the name, the plant is in fact not an ivy at all. Many gardeners can have a love-hate relationship with this plant as it’s from an invasive species. It grows attractive purple flowers, but it can also grow so quickly that it becomes difficult to maintain, particularly when it grows on a lawn. It spreads through seeds, and it takes more than mowing a lawn to get rid of it. Ground ivy grows well in containers and is often used as a medicinal plant. The leaves and flowers have a distinctive aroma. Most animals do not like the taste and won’t eat it. Ground ivy was used to make beer before hops became popular. Ground ivy will also take over fields of native wildflowers which is a concern in many countries. It’s commonly found in Europe and Asia, but has made its way to North America. It will eventually form dense mats of plants which become unsightly and difficult to manage, so that most homeowners reach the point where they must find the best ground ivy control methods. 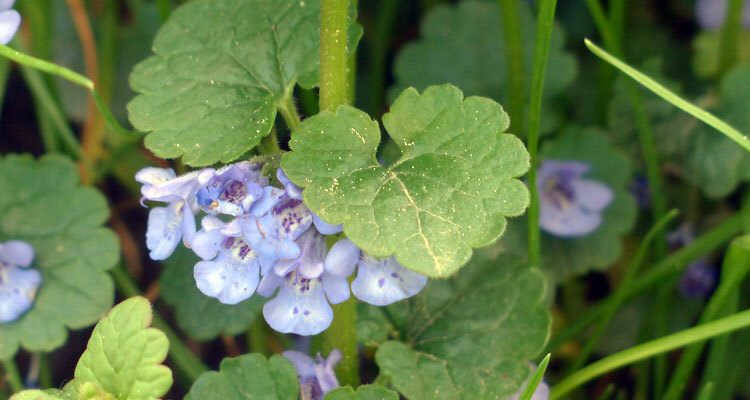 If you have plants growing over your lawn you may be concerned that you have a ground ivy infestation. Early identification is best in order to effectively eradicate this plant from your garden. Ground ivy can grow low to the ground or up to fifty centimetres tall. It has medium green stalks and leaves. The leaves have a kidney or fan shape. Around the leaves are several round toothed edges. The leaves can be about two to three centimetres in diameter. The leaves are attached to a petiole of about three to six centimetres long that attaches to the main stalk. The stems are square. Ground ivy can be mistaken for a mallow called Malva neglecta. It has a slightly different appearance in that the leaves are attached to the stem at the back of a rounded leaf, whereas the ivy is attached to the stem at the centre of the leaf. Mallow doesn’t have that distinctive smell either, as it’s not from the mint family. Ground ivy has lavender purple flowers that are funnel shaped. They grow in clusters of two or three flowers. The plant flowers in the spring. Ground ivy is generally all one type of plant species, but it is called different names around the world. Some of the confusion may lie in it being mistaken for other species or vice versa, such as Malva sylvestris or Pilea nummularifolia. Either way, all of these plants are invasive and treatment methods for their eradication are often the same. Here are some of the more common names that ground ivy can be called. What Will Kill Creeping Charlie? Like other types of weeds, creeping charlie can be killed by herbicides. Trimec and Weed-B-Gon can be effective on certain types but not others. 2, 4-D, Tricolpyr, MCPP, Clopyralid, quinclorac, and fluroxypr, and Confront have also been effective. Some of these herbicidal treatments aren’t available to the homeowner but only to professional businesses, making them expensive for the average person to try. Many people are hesitant to use herbicides on their lawns or gardens if they are growing vegetables or having children or pets playing nearby. There are many safer treatments to get rid of ground ivy that may be tried around the home first. How to Get Rid of Ground Ivy or Creeping Charlie? If you have ground ivy or creeping charlie in your garden or on your lawn, it’s important to identify it immediately, and begin considering treatment methods. Some of the best forms of treatment are to keep it under control, rather than completely killing it, as you then risk killing off your entire lawn or the plants in your garden with harmful herbicides. Two of your best and safest options to try include a borax treatment, and a sugar treatment. Both of these treatment methods will control your ground ivy or creeping charlie problems. Ground ivy can be controlled with borax. Borax is a chemical compound made of boron. It’s commonly found in most supermarkets in a form of Borax laundry detergent. It contain minerals, such as salt and boron, and in its powdered form is a white powdery substance that will easily dissolve in water. Normally, boron is an essential nutrient for plants in smaller amounts. But if plants are fed a greater amount, it can be toxic to them. It’s effective in controlling ground ivy because this plant is sensitive to the boron, whereas it won’t affect the the grass in your lawn. You can kill the ground ivy, but your healthy green grass will not be adversely affected. At worst, it may cause some browning of the grass which is no worse than what happens during the hot months of summer. Your green grass will soon recover and grow out of it. Gather together these ingredients to treat your lawn with the borax method. 250 millilitres of Twenty Mule Team Borax—Find in the laundry detergent section of most stores. 120 ml of warm water. 10 litres of cold water. 5 to 10 litre garden sprayer—if you don’t already have one, it can save you a lot of time. 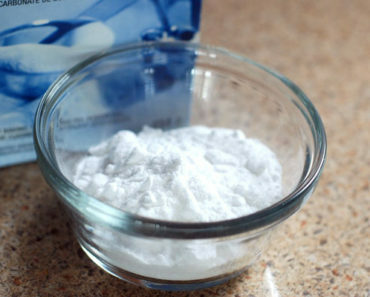 Follow these directions to mix up your borax mixture. Mix the borax with the warm water in your garden sprayer canister. Pour in the rest of the water and mix well. You’re now ready to spray it evenly over your lawn. This mixture is good for spraying over 300 square metres of lawn. Boron does not dissipate or break down like professional weed killing herbicides. This means that it’s possible to over-apply it, which could potentially kill everything in that spot, including your lawn, and will prevent any plants from growing for years to come. Keep these precautions and safety measures in mind before treating your lawn or garden with borax. If you have more than 300 square metres of lawn, mix up more solution. Do not try to spread out the solution to more ground as it could lose its potency. Treat your lawn with borax only once a year. The best time for treatment is in the spring. Treat your lawn only two years in a row with borax, then stop. Once you see that your weeds are gone, try to maintain a healthy lawn through regular mowing, weeding, etc. 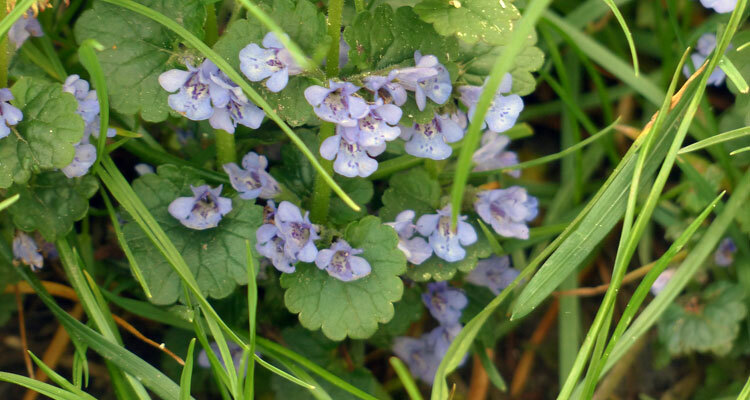 When your lawn is well-maintained, ground ivy will be less likely to grow in thicker and better maintained grass. Another effective strategy for killing weeds in your lawn involves using sugar. Sugar can be a safer method to use than borax, as it dissolves over time. You can use basic white table sugar, which is inexpensive. Using sugar to kill weeds has been studied by many university horticultural departments as an effective weed treatment, including killing creeping charlie. Sugar is effective in eradicating weeds. This is because plants normally grow well in nitrogen rich soils. Nitrogen is an element that is the basis for green leafy growth. It also assists the plant in gathering other nutrients that it requires. The plant also gains nitrogen by composted or rotting organic matter that is nearby. Sugar is a carbon nutrient, therefore, it does not contain any nitrogen. When sugar is applied to weeds, it will limit its growth. There are some plants that are better than others at adapting to a low nitrogen environment. Lawn grass may be better at adapting, this is why sugar can be effective at killing weeds, but not grass. However, too much sugar can kill your grass, so you want to stick to direct application to weeds and other invasive plants. The ingredients needed to make your own creeping charlie control are few, and the method of application is simple to do. The sugar can be applied directly to the offending plant, which will provide a safer method of herbicide to deter your unwanted plants. Gather together the following items to mix up your herbicide. This is one of the simpler methods of controlling creepy charlie in your garden. Measure out one cup of sugar from the bag. Pour the cup of sugar around the base of the weed. Avoid the other plants that you wish to remain in your garden. Coat the soil thickly, particularly the weed’s roots. Check the weed in a day or so to ensure it is dying. If not, re-coat the weed again with more sugar. There are a few issues that you may have if you choose to use sugar to kill creeping charlie. Stay aware of these precautions and safety measures so you can utilize sugar more effectively in your eradication of creeping charlie from your garden. Sugar can attract ants, as they love to eat it. Be sure to water your weeds coasted in sugar as soon as possible, as this will keep ants or animals from being attracted to this part of the garden. Be sure to water the leaves too, particularly if sugar has been left behind on them, as this can attract animals too. If the ant colonies are greater than normal, you may have to treat this location for ants next. Sugar can kill desired plants or lawn grass in larger quantities too, so ensure you direct your treatment at the ground ivy or creeping charlie. 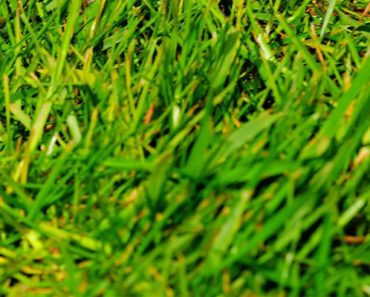 Once the weeds are killed you can work at improving the growth of healthy lawn grass. Your best time to use the creeping charlie herbicide is in the spring. This is when the weeds are smaller, and before they start seeding. How Long Will It Take to Kill Ground Ivy / Creeping Charlie? After you have applied your sugar or borax herbicidal solution, it should only take a day or so to begin working. The weeds will soon begin to wilt and brown. After three days you will begin to see significant results. Once the weeds are wilted and brown, they will be a lot easier to dig out of the garden. Ensure you dispose of them properly, so that their seeds don’t escape to grow new plants in the spring. As soon as you are aware of what ground ivy and its variations look like, the sooner you can begun treatment. While it may look attractive at first, it will eventually take over your lawn and garden, and kill any green grass or pretty wildflowers you may have had. The good news is that ground ivy can be controlled through the safer use of control methods, such as with borax or sugar, keeping your family and home safe. Not only is it effective, but it’s affordable too, and chances are that most people have one or the other ingredient already in their homes. Spring time is ahead, but if you have nice weather where you live you can begin your treatment now. Soon you’ll have a nice thick densely grown lawn with beautiful garden, all because you took a few minutes each day for garden care and maintenance, including effective ground ivy control methods. 1) I live in Connecticut and was going to apply now (October); but should I wait for the Spring instead? If so, when in the Spring…i.e. temperature? 2) Does rain adversely affect the application?